We have a wonderful team of experienced and loyal staff that contribute to making Emsley Lodge the unique training facility that it is. Some of the staff have many years of experience in the industry and a couple are new recruits keen to learn but they all play their own important role in the care and developement of our team of horses. We value and appreciate their skill, their love of the horses and the hard work they do every day. We would like to introduce them to you. Jamie is very much a "hands on trainer". He is passionate about the horses, the business and achieving the best results for his clients. Jamie was an apprentice Jockey in ACT, however like many jockeys increasing weight led him to turn his hand to the training side of racing. After being foreman for Keith Dryden in Canberra, he moved to Melbourne and for the next 6 years was foreman for both Mick Price and Rick Hore-Lacy. Jamie then moved to Mt Macedon where he designed and built the training facility now known as Macedon Lodge where Lloyd Williams has his horses trained. Since moving to Geelong in 2001 both Jamie and Bruce have been the leading trainers in the area. His ability to ride track work and gain an insight into how well each horse is coping with the demands of racing is a unique advantage. Jamie works closely with his trusted valued team over seeing the day to day operations of the stable. Janet is Jamie's wife and is an integral part of the stables' success. Janet is always available to help with an account or ownership query....or to assist in drinking a glass of Champagne in the owners winners circle. 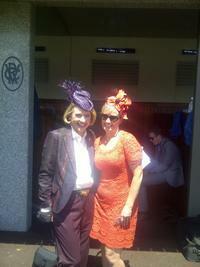 Our number one "lady in racing" ...and the other lady is Gai Waterhouse!! James completed VCE at St. Joseph's College in Geelong in 2014. Since James was young he has loved the horses and has always been keen & enthusiastic about racing and the industry. As soon as he finished school in 2014 he secured a job at Rosemont Stud in Ceres and enjoyed his full-time position there assisting with their yearling & weanling preparation. In 2016 he commenced working with the Stallions at Gnarwarre and divided his time between both the Rosemont establishments. When he was available he would attend the occasional race meeting to assist with an Emsley Lodge Runner. In February 2017 James decided to join his father and the team at Emsley Lodge as an assistant trainer. James work ethic coupled with his passion and commitment to the family business makes him a huge asset to Emsley Lodge. James is also a great form expert so we rely on him for his input and opinion. He is pictured here above strapping his first city winner "KAWABATA" on 5/7/2017. 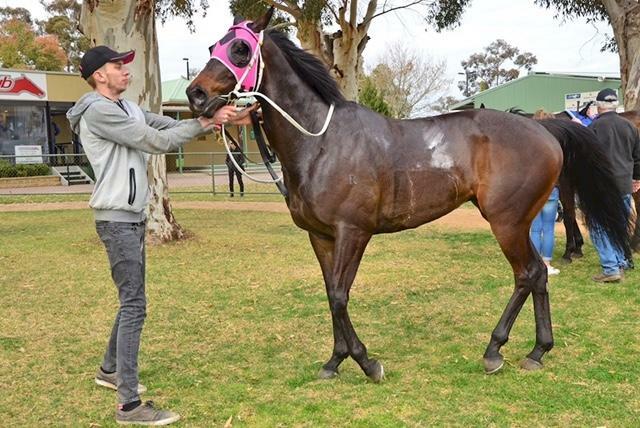 But his most special Win was with "Severn Road" in the 2013 Traralgon Cup. Luke "Stretch" as he's affectionately nicknamed re- joined our team in September 2014 and it is great to have him back with us at Emsley Lodge. He has been involved with horses for about 5 years and has developed into a very capable and caring horseman. He can also be seen behind the wheel of the Emsley Lodge truck. He's hard working, ever reliable and a great guy to have round the Stables...he also keeps Jamie amused with his jokes!! 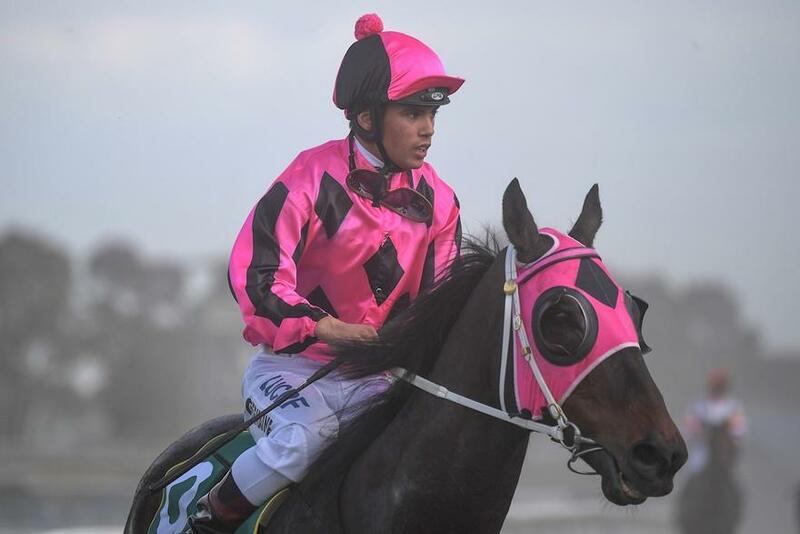 Luke is pictured here above after strapping INASTRIDE to his first win in Australia. Trent Germaine is a former Metropolitan apprentice who started at Emsley lodge in November 2016 coming across from the Mick Price stable. Trent has had stints in North Queensland as well as working closely with the Ledger team in Wangaratta. Trent rides track work and trials in at Geelong before making his way out to the Emsley Lodge farm to ride the stable gallops. Trent has formed a special affiliation on stable favourite Severn Road being the stable's 3rd apprentice to claim victory on the gelding. Trent continues to gain experience and no doubt has a bright future. (Trent is pictured above after the exciting win of Severn Road at Geelong on the 22nd of September 2017).